Before I get right into the benefits of a VPN Wi-Fi Router and review the best ones I will give you a quick overview of what they actually are and how you are losing out big time by using the free one given to you by your ISP. Wi-Fi routers have been one of the best inventions in recent times, allowing for wireless network capabilities and allowing the use of the internet on multiple devices at the same time instead having to use the one PC that is plugged in. Well, the technology of Wi-Fi routers has evolved massively of late but unfortunately the ISP’s (Internet Service Providers) only ever send out the cheapest Wi-Fi routers with their service leaving you with a substandard piece of hardware. Let’s face it, almost everyone uses the router that your ISP sent out when you signed up to the plan. Your internet is slow and buffers on your wireless devices. You get kicked off your WiFi network when there are too many devices connected. Your WiFi doesn’t reach all parts of your house. You can’t use it as a media hub to stream from. You can no use it as a VPN connection. Why Upgrade to a VPN router? If you ever take a quick look at the VPN services, you will see that most VPN’s can be installed on smartphones, tablets, and computers. Lately, these services also promote the idea of a VPN router which is basically a router that supports a VPN client. This possibility comes with great benefits for the user and this is why this type of devices became quite popular these days. Connection can be more than 10 times quicker than the standard ones. You can use a VPN connection on EVERY device you have connected to the network so the VPN providers limits do not apply. You can use EXPERT encryption if you ever want to go on the Deep Web. With apps like Tor and a VPN router, your connection can be triple encrypted at an expert level and no one will be able to poke around. You have: VPN (Router) -> Tor -> VPN(PC app) -> Deep Web. This is what the pro’s use to surf the Deep Web. If you use a Streaming Media Box like Matricom G-Box, Apple TV to use apps like Kodi (XBMC) or Netflix. This will encrypt and unlock everything so you have unlimited Movies and TV-Series to choose from without the worry of being tracked. If you want to share music or movies via torrents, you just have to hook up a storage device to the VPN router and start sharing/ streaming. You won’t have to install a VPN client on every device you use to connect to the Internet. You can have multiple different WiFi signals to connect to so one can be VPN encrypted while another one can be the standard naked connection. Prevent Identity theft by encrypting all of your emails, chats, skype calls, social media activity, downloads and browsing activity. Stop those pesky ads from marketing people following you around. You know when you visit a site once and then you see that add EVERYWHERE you go online. It is protection, or rather an insurance policy for when (not if) your kid does something stupid online like downloading a pirated movie and then you end up being sued for the illegal download (happening all of the time now). Also when your kid does something stupid like sending inappropriate photos (they do this now weather you like it or not) the VPN encryption will ensure than no one can intercept the message to exploit it. If you are on the market, looking for a reliable router that will also offer the possibility to install a VPN solution, below you will find a top 3 of the best VPN router products to consider. The Nighthawk is the VPN router any modern Internet user would want in his/her house. The expert hackers, gamers, anonymity minded users and those that love to stream high quality movies with no buffering LOVE this router, this is the actual router I own. The VPN router supports 802.11ac dual band Gigabit and is equipped with a dual-core processor running at 1 GHz speed. To boost your network’s speed performance, the device has several external antennas and Beamforming+ for extra reliability and an amplified range for both the 2.4 and 5 GHz connections. The Nighthawk VPN router will allow you to achieve WiFi speeds up to 600 Mbps with the 2.4 GHz connection and 1300 Mbps with the 5 GHz connection. Even more, there are 5 Gigabit Ethernet ports (4 for LAN and 1 for WAN) and 2 USB ports (USB 2.0 & USB 3.0) so you can connect storage devices like external HDDs or memory sticks. Once the hard disk is connected you can access those files, pictures, movies or whatever is on it from any device that is connected to it. You can access your entire movie collection from you iPhone or iPad without using any of your phone storage to keep them and you don’t have to go through the tedious process on iTunes to load it either. In a nutshell, all these technical specs mean that the Nighthawk AC1900 VPN router is one of the best products you could consider for a large house, with multiple users and heavy Internet usage. Besides the fact that it offers a great Internet speed for all the users, it also offers the possibility to share storage locations with everyone who has access to it. According to reviews, the Nighthawk is great for online gaming as it offers a lag-free experience due to the optimized NVIDIA GameStream™-Ready equipment. Also, you can stream music and videos while playing online games without feeling any bumps in the connection due to the prioritized bandwidth. No more buffering on YouTube and the download will be at optimum speed when you download that HD movie. Since this is a VPN router, you will be able to stream video on Netflix (the real, any version) at maximum available quality. Also, other services like Hulu or Pandora can be accessed with the right VPN provider. The antennas and the built-in amplifiers allow the Nighthawk to extend the WiFi signal coverage which means you could even relax in the backyard while browsing on your phone or tablet. Even more, the Airtime fairness feature is designed to make sure no lags appear when slower devices are connected to the network. These days, we use services like Google Drive and Dropbox to store files we need to access regardless of location. However, these are public services and require certain fees or they have bandwidth limitations. With the NETGEAR genie® remote access and ReadyCLOUD® features that come with this router, you won’t have to worry about said services anymore. The router creates a secure cloud that can be accessed remotely so you can store anything safely. You can even setup your very own FTP server with the customized free URL offered by the producer. Honestly, the applications are limitless when it comes to this device! 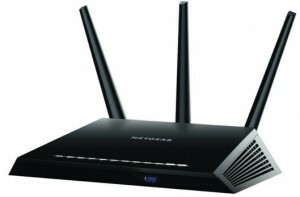 The Nighthawk is designed to prevent DoS (Denial-of-service) attacks and comes equipped with double firewall protection. Also, the WiFi access is protected and there is a Guest network if you don’t want to share your password with everyone who visits your home. Recommended VPN Provider: IPVanish (You need a VPN subscription to use the VPN capabilities) Get a 25% off the price with this link. Price: Get a $50 Discount by clicking here $349.99 with DD-WRT firmware already installed for the VPN connection. Note: The routers you buy off amazon etc DO NOT have DD-WRT installed and it is a nightmare to install it. The first time i tried took me 2 days of messing around and I also ruined one router costing me hundreds of dollars. These routers are pre-flashed woth the firmware so you just plug it in, enter log in details of your VPN subscription and then your entire house is protected. This VPN router comes with the DD-WRT firmware already installed so there is no need to learn how to flash a router for better performance. 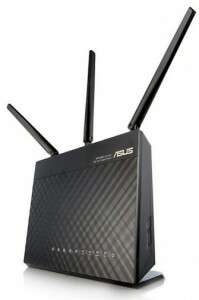 Besides implementing a wide range of configuration options, the Asus AC68U is an AC1900 router. This means that the device supports 2 wireless AC connections, one on 2.4 GHz and one on 5.1 GHz which are both faster than the regular 802.11n routers. The device also comes with 3 external antennas to offer you the maximum possible coverage area. This means that, if you have a big house, the WiFi signal should be able to reach all the rooms and even the backyard garden. You won’t need to install a second device or a signal repeater. The AC68U VPN router is powered by a dual-core processor which allows it to rank quite high on the performance scale. Also, the power supply supports dual voltage so, if you ever want to pack it up and take it with you to another location, you don’t have to worry about this aspect. When it comes to connectivity, this VPN router implements Gigabit Ethernet ports for a better performance and a 2 USB ports (2.0 and 3.0) for a better sharing experience. The USB ports are great when you want to share content from an external USB device with people who have access to your network. The most important specification for the Asus AC68U is the fact that it comes with the DD-WRT firmware already installed. This opens a whole new world of opportunities for the user, but most importantly, it offers them their own, personal VPN router. So, this VPN router can be used to protect your online privacy and the right to be anonymous online. Since the Asus AC68U is an advanced router with a wide range of features, you also have management possibilities. For instance, you can keep the bandwidth under control with QoS and manage the DNS settings thanks to the OpenDNS implementation. Even more, if you are setting up a server, you have the possibility to play with advanced port forwarding settings. If you use this VPN router for a small company or an office at home, you’re in luck! The integrated features create the possibility to share network printers with a certain group of people. This way, the entire office could use only one printer, or you can set it up for a certain department. The USB ports allow the user to connect an external HDD or another type of USB device to the VPN router and thus share its content with the entire network. For instance, you could upload your entire collection of movies, connect it to the VPN router, and watch from wherever you want in the house. This also allows other members of the family to watch their favorite shows without bothering anyone. Users can setup a guest network for when people come over thus protecting their home network from any intrusions. Also, there is the possibility to setup advanced firewalls that will stop any possible threat that tries to infiltrate your network. Price: Get a $50 Discount by clicking here $349.99 with firmware already installed for the VPN connection. This is the third dual band VPN router on our list that supports superior speeds and the DD-WRT firmware. This makes it quite flexible and versatile regardless of the main purpose. Even more, the device is stylish and doesn’t stand out with the classic router look. The device has 6 internal antennas for extra elegance and the general black finish fits great in both office and home environments. The VPN router allows for speeds of up to 1000 Mbps and supports the IEEE 802.11 a/c b/g/n standards. It is equipped with 5 Gigabit Ethernet ports (4 LAN and 1 WAN) and 2 USB ports (2.0 and 3.0). The Broadcom BCM4360 processor runs at 800 MHz speed and allows the VPN router to be quite fast in processing each piece of information that goes its way. The power adapter will work wherever in the world so, if you buy this online, there won’t be any compatibility issues. Since the device is designed to work with a wide range of standards, users will be able to connect almost any type of wireless device to their network. For instance, modern devices like Apple TV, iPhone 6 and superior, Roku and others require a specialized WiFi signal that the AC1450 Netgear FlashRouter is capable of delivering. However, people still have older devices and this VPN router also offers the possibility to connect them to the network. 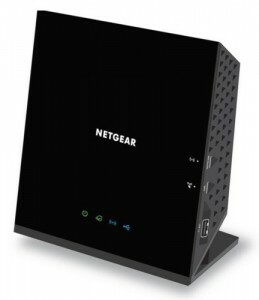 First of all, the AC1450 Netgear FlashRouter is a VPN router due to the DW-WRT firmware upgrade. Not only will you be able to access streaming services like Netflix and Hulu as a non-US resident, but you will also have access to increased online security and privacy. Even more, you will be able to use torrent networks without worrying that someone is trying to snoop in your own, personal network. If you’re a cordcutter, this VPN router is one of the best devices to have around the house. Due to its 6 internal antennas the signal is powerful and you’ll be able to catch your favorite show on Netflix even if you’re outside the house. The processor on this device is powerful enough to deliver the superior speed and quality when it comes to your personal network. Even though this VPN router is not as fast as the first two we discussed, it can also deliver a great online gaming experience with less lag. Even more, it is great for streaming videos and music without encountering too much buffering. Thus both YouTube and Pandora will be a pleasure to use. Besides offering you the possibility to install a VPN client, the device has a few security layers of its own. For instance, the WPA and WPA2 wireless security for individual and companies, Radius, and WEP are the security standards implemented on the AC1450 Netgear Router. Price: Get a $80 Discount by clicking here $199.99 with firmware already installed for the VPN connection. As you can see, a powerful router will definitely improve your entertainment activities, but without the correct firmware, the change won’t be complete. Today’s routers are quite capable but most of them are limited by a basic firmware that won’t allow the user to configure his/her network. However, flashing a router (or installing a new firmware) can be a difficult job and may lead to material loss if not performed correctly. That’s why routers that come with a firmware upgrade from the producer are quite popular these days. For those that don’t know anything about WiFi routers. In the world of fast Internet connectivity and new technologies, it’s important to be connected wherever you are. The fact that we can check our emails, update on our friends’ status and keep in touch with the latest news regardless of location allows us to function better in both professional and personal plans. But all these wouldn’t have been possible without WiFi and wireless routers. This is why today we are going to focus our attention on WiFi or wireless routers and consider the best products on the market. But first, let’s focus on a few technical terms. The router and the wireless router are two pieces of technology that often seem confusing to less technical people. However, we all have at least one of these devices in our homes and it’s important to make sure we understand how they work. First, you need to know that the router is the device that takes care of finding the best route for all the data packets you receive via a network (the Internet, usually). This way, the information is delivered to the owner quickly. Even more, routers are among the safest devices to use in a network as modern models also provide basic security protocols. A wireless router is a regular router that also has the possibility to act as a wireless access point. According to the model, the router is capable of delivering wireless signal on a certain area around itself so you will be able to connect online without needing any wires. These devices allow us to use the Internet on our smartphones, tablets, gaming consoles, Smart TVs and other mobile devices around the house. In conclusion, the router is that device that routes your Internet traffic and allows multiple devices to connect simultaneously. According to your needs, the types of routers available on the market are quite different, but they all perform the same basic function.